Nothing beats a convertible with the top down on a sunny day. Unfortunately, Mother Nature doesn’t always play nice. Sometimes she replaces sunshine with rain, hail and snow. It’s during times like these that your convertible top needs to be in prime condition. 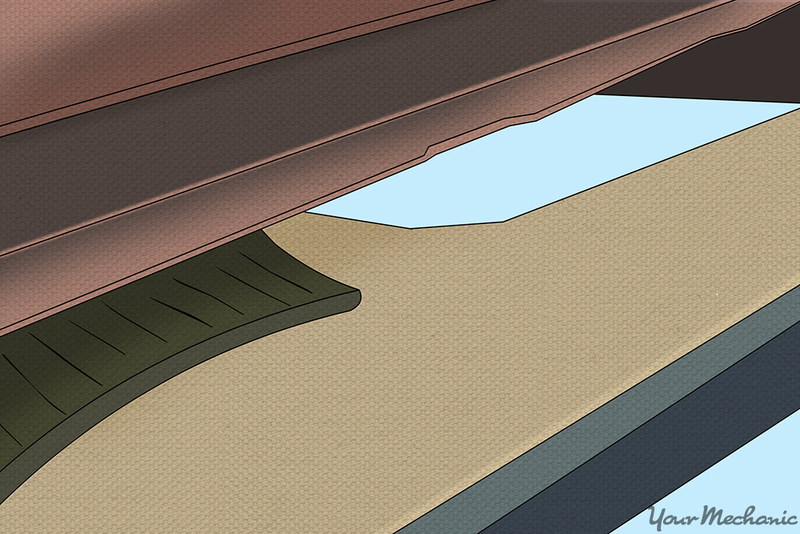 One of the main problems with convertible tops is the rear glass often comes loose. But never fear, you can reattach it yourself with some double-sided tape and a little patience. Step 1: Attach the canvas to the glass. Temporarily hold the top in place with heavy duty tape, such as Grafters brand tape. Step 2: Open the top up slightly. Open the top up slightly but not all the way. 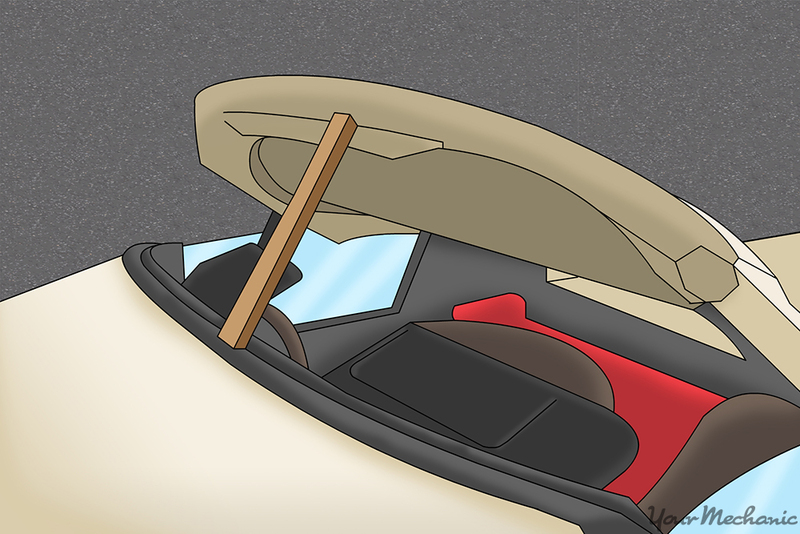 Then, prop it up with something such as a piece of wood or small empty box between the front edge of the top and the upper edge of the windshield frame. Step 3: Find where where the glass has become unattached. 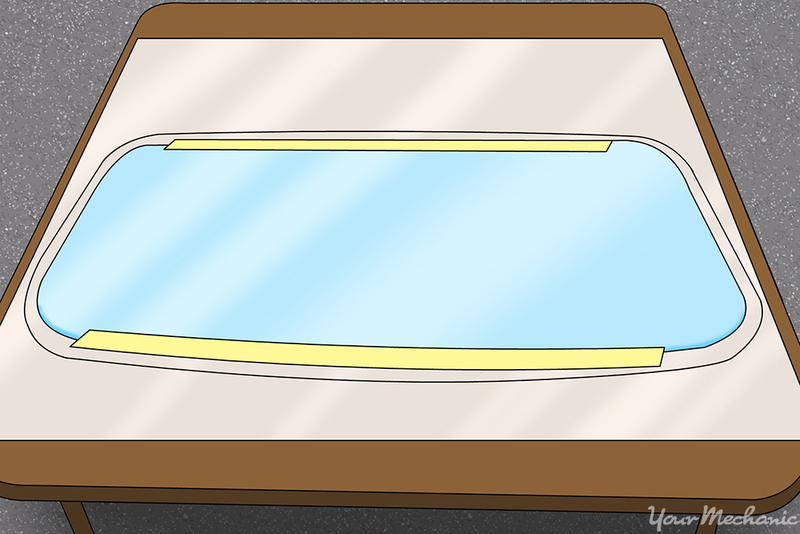 Find the portion of the top where the glass has become unattached from the canvas. This will be in a location where the glass and the top meet. The glass becomes unattached due to time and exposure to the elements. Step 4: Clean the matting surfaces with rubbing alcohol. 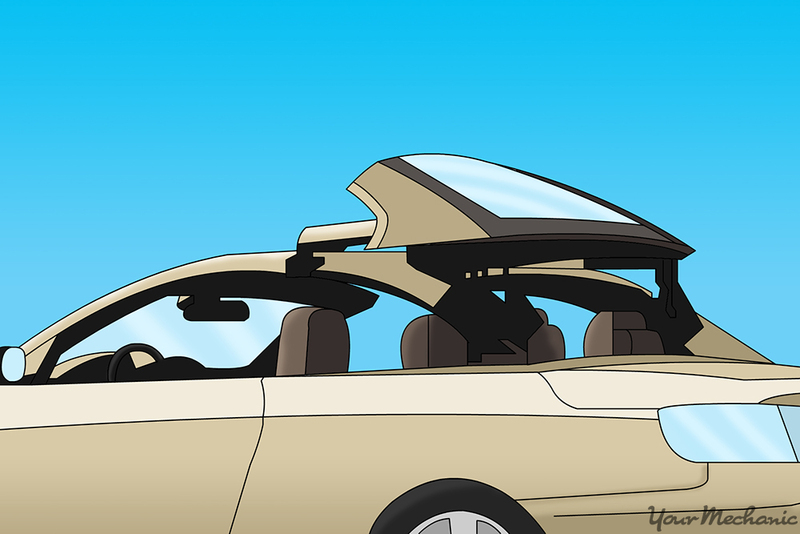 Step 5: Close the convertible top. Close the roof completely. 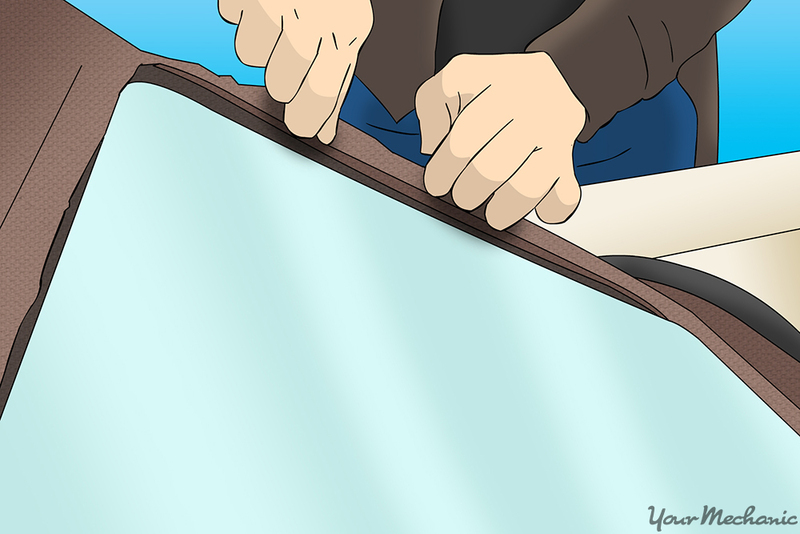 Then, check where the canvas falls on the glass when it’s pulled on gently. Step 6: Apply the double-sided tape. Apply a strip of double-sided foam tape to the edge of the window where needed. Cut the tape to length with a scissors and slip it between the top and the glass. Step 7: Attach the canvas to the tape. Bring the area of canvas being attached up to the edge of the tape. Then, press the canvas down firmly on to the glass. 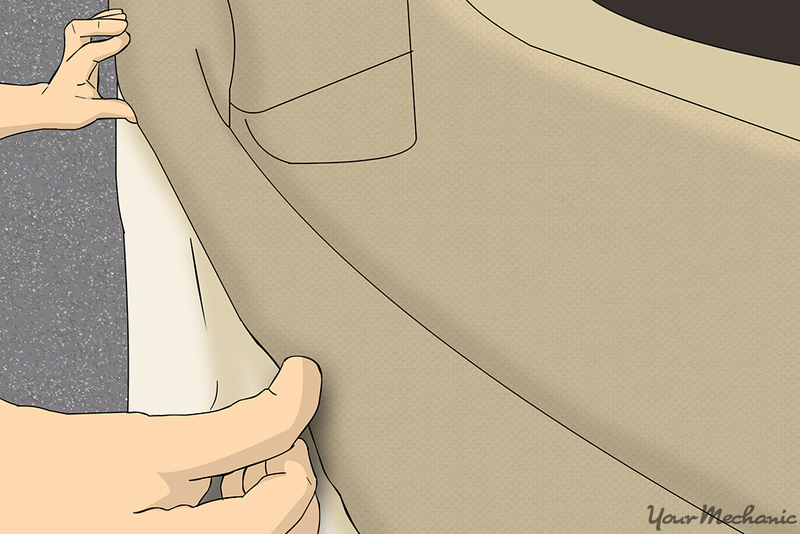 Slide your thumb across the canvas toward you, removing any irregularities as you go. Step 8: Apply heat to the bond. Use a blow dryer or heat gun set to the low setting to apply heat to the bond. This creates a more thorough attachment. 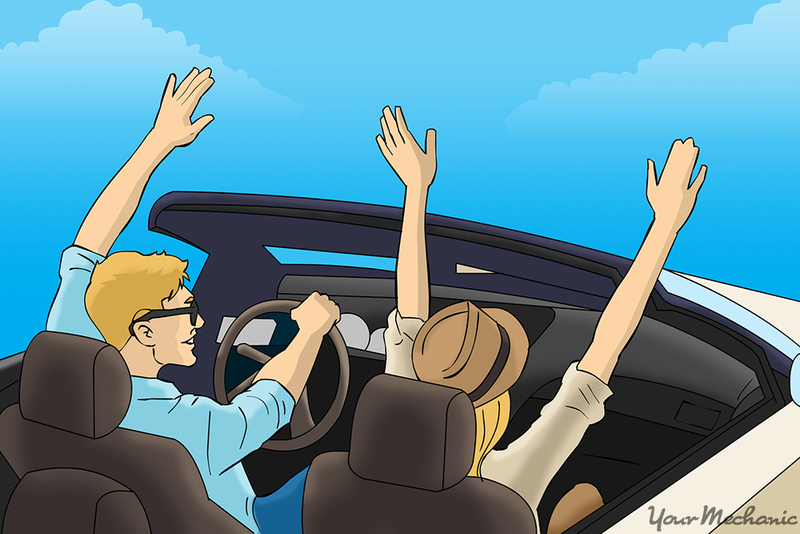 Now that you’ve fixed your top you can enjoy your convertible in any weather. So, next time Mother Nature comes calling, you won’t have to worry.